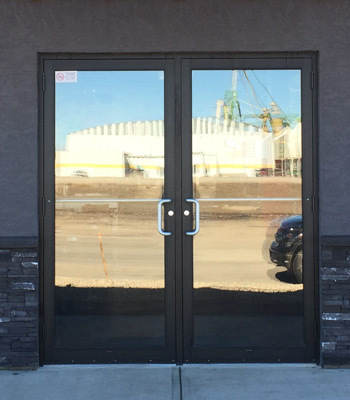 We supply and install Inkster Park Millwork doors, with the benefit of the Ectacron maintenace free vinyl wrapped wood frames, ball bearing hinges, adjustable strike plates, and prefinished steel slabs. The Inkster Park Millwork Garden Door unit features two outswing doors to maximize useable floor space. Both doors are hinged on the outside jambs with commercial grade ball-bearing hinges. One door is used for entry/exit and the other is fitted with crank out hardware with a fixed screen for ventilation. 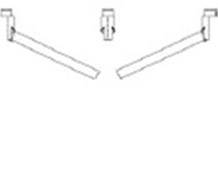 Two cam locks are installed on each door to ensure a weather tight seal for all conditions. 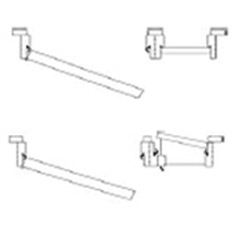 The double jamb system reinforces the mullion making it resistant to warping. Inkster Park Millwork Garden Doors are engineered to incorporate a continuous jamb header and sill for ultimate strength and rigidity. 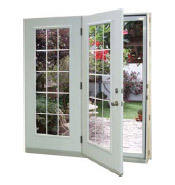 Center-Hinged Inswing Terrace Door units feature two doors with a sliding screen. One door is hinged at the center mullion and swings in, the other door is fixed. Hinging at the center allows for more usable wall space as the active door swings around against the fixed door. A special laminated Terrace Door center mullion is fastened to the sill and header for added support and a weather tight seal. Inkster Park Millwork Terrace Doors are engineered to incorporate a continuous jamb header and sill for ultimate strength and rigidity. Inkster Park Millwork Double Doors are hinged on to the side jambs with commercial grade ball-bearing hinges.Inkster Park Millwork Double Doors are engineered to incorporate a continuous jamb header and sill for ultimate strength and rigidity. 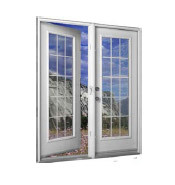 The double door can be ordered with one or both doors operating. A sliding optional screen is available. 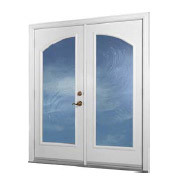 Door units with fixed Sidelites are available in a wide range of widths and heights and are storm door ready. The Venting Sidelite comes with a full length panel that cranks out with a removable fixed screen mounted to the inside. Two cam locks are installed on to the venting sidelite panel to ensure a weather tight seal in all conditions. The panels come in 14” widths only and are not available in heights in excess of 6’8”. Inkster Park Millwork doors with sidelites are engineered to incorporate a continuous jamb header and sill for ultimate strength and rigidity. The unit is storm door ready. High performance, industrial grade heat reflective paint specifically developed for the Window and Door Industry. 13 popular colours to choose from. We have made every attempt to accurately interpret the colours as closely as possible. However, the colours shown here may vary from an actual application due to fluctuations in the printing process. 5 year warranty - protection from fading, cracking, peeling. 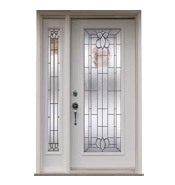 CAUTION: Dark colours should not be used on door lite frames with south or west exposures, if a storm door is ever to be installed. 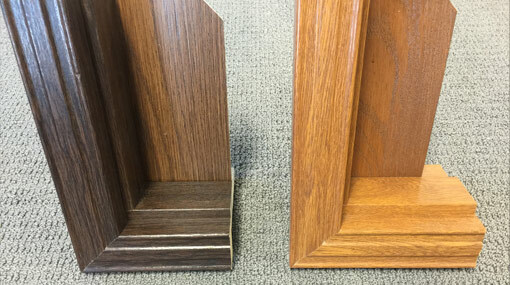 Any color of paint and two stain options are available for both slabs and frames. We can supply and install aluminum and steel framed doors for all your renovation and new construction projects.